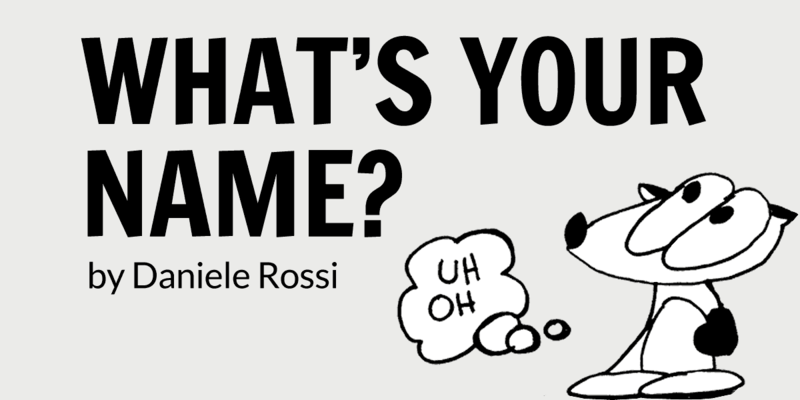 Stuttering is Cool | What's Your Name? This is the first comic I drew for ti-ger.org, a sister site I had created in 2011. I thought it was fitting to make Franky Banky saying his name be the first topic of his Internet debut. Stuttering our names is probably THE biggest fear we who stutter all have. I originally drew this comic in colour a year or so earlier. Soon after posting it, I received an email from someone in India saying he liked my comic so much that he printed it out and hung it on the wall of his cubicle at work. My mind was blown. Somewhere on the other side of the planet from me, my comic is hanging on someone’s wall! Keep in mind that this was the early days of social media so the fact that anyone, anywhere, with Internet access, affordable software and hardware can be a publisher. Not only be a publisher, but have the ability to change someone’s life. Even without meeting in person. This prompted me to write my first e-book on the subject! I redrew this comic a third time in 2013 for my book, Stuttering is Cool: A Guide to Stuttering in a Fast-Talking World. In fact, it’s the first comic you see when you open my book. It’s followed up at the end of my book with a sequel ends off my book. That’s all I’m going to say.